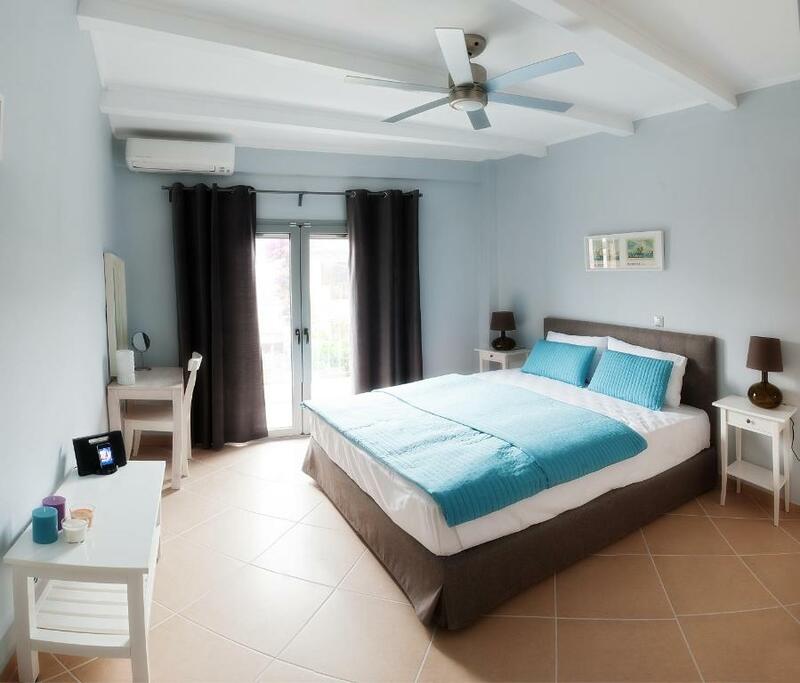 Within 250 feet from the beach of Polychrono, Villa Despina Green Suites offers luxurious apartments with a well-equipped kitchenette and balconies overlooking the garden. Free Wi-Fi is available throughout. 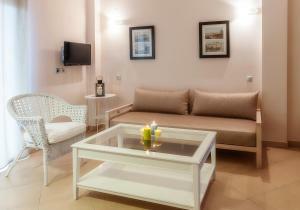 The air-conditioned apartments at Villa Despina are bright and modernly furnished with colorful details. 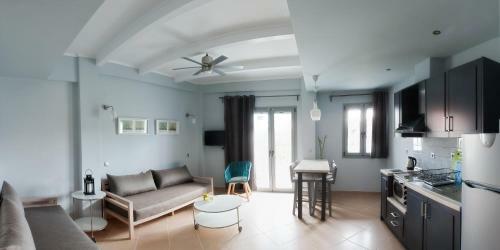 They consist of a separate bedroom and an open-plan area with the kitchenette and the living room. Facilities include a flat-screen, satellite TV, hairdryer, mini oven and coffee maker. The center of Polychrono can be reached within a short walk and features many traditional taverns and shops. At 984 feet, you will find a bus stop connecting to the nearby villages and beaches. Free private parking is available. 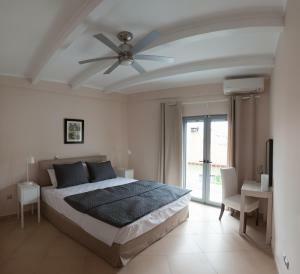 When would you like to stay at Villa Despina Green Suites? Bright and modernly decorated apartment with a separate bedroom, well-equipped kitchenette, living room and furnished balcony. Free Wi-Fi is available. 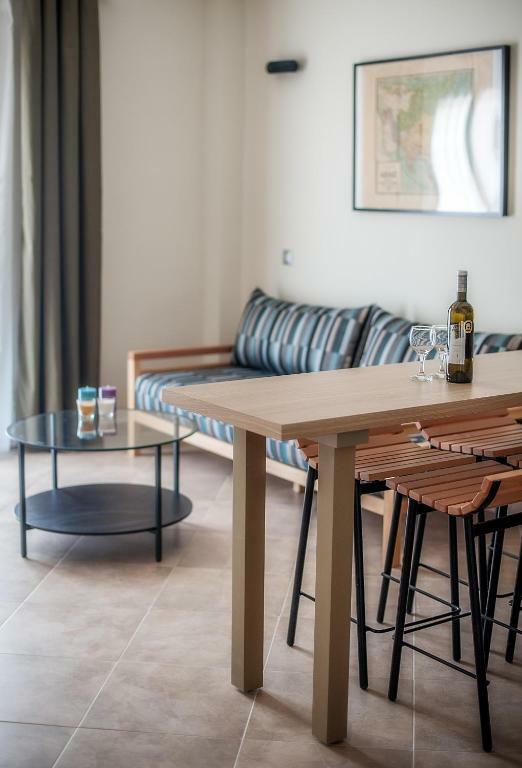 House Rules Villa Despina Green Suites takes special requests – add in the next step! We need at least 5 reviews before we can calculate a review score. 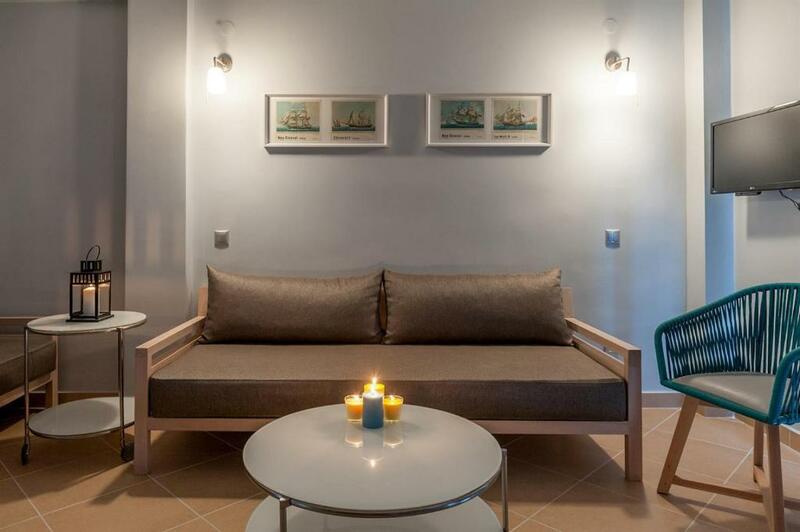 If you book and review your stay, you can help Villa Despina Green Suites meet this goal. 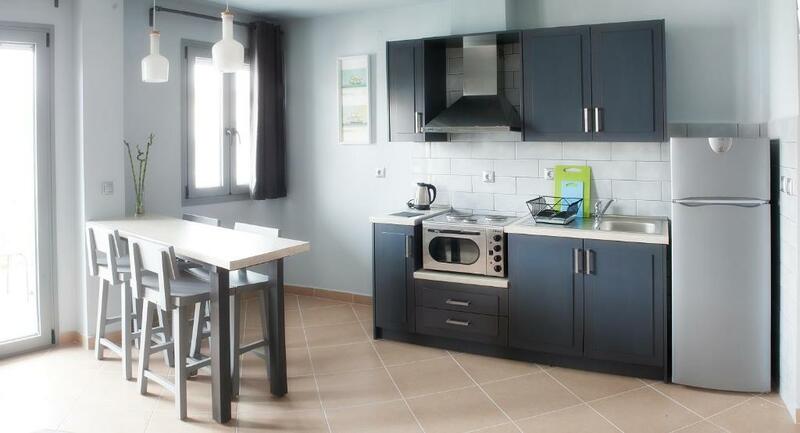 I have discovered this amazing, modern and well-appointed place in Polykhrono. The villa is like from a postcard. Once you enter the front garden, you feel like you are part of story and the time stops: you see a beautiful house with a garden full of flowers and a big tree under which there is a table (here you can have lovely breakfast or have a drink in the night). I greatly appreciated the host and his work, as he arranged everything in detail (very large and cozy rooms, quite ambiance, etc.). The host was very welcoming and very polite, so my girlfriend and myself did not miss anything (for example he borrowed us two bicycles to ride around and to discover the surroundings). The housekeeping staff cleaned extremely well the room and I was very excited about this, because I like cleanliness. The location is close to the beach, shops and restaurants. We found out many good restaurants at the recommendation of our host: Nefeli, Flegra, Azur. And also the delicious pastry shops: Lemoni and Cafe Cafe. I will definitely come back! So if you want a great and relaxing vacation where you can recharge your batteries, I highly recommend Villa Despina Green Suites from Polykhrono!